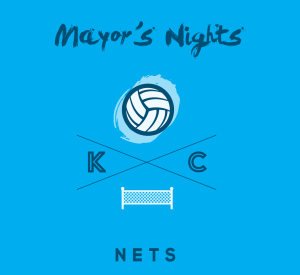 Mayor’s Nights are back this summer for Kansas City Youth and we’ve added new locations and events! The Mayor’s Office and The City of Kansas City’s Parks and Recreation Department are pleased to offer safe and fun events for Kansas City youth ages 11-18. Mayor’s Nights offers our young people a variety of fun and safe activities to participate in during the summer. I want to encourage all of our city’s youth to register for these activities and invite their friends and family members to get involved, too. From the arts to sports to dancing and games, there’s something for everyone to enjoy. An important objective of Mayor’s Nights is to give youth and young adults a wide variety of activities to participate in during the summer evening months when more stringent youth curfew rules are in effect. Night Hoops is one of Mayor’s Nights longest running programs since 1992. Night Hoops is an eight-week evening basketball league for youth and adults that not only focuses on basketball, but offers youth enrichment activities, job and professional development training and mentoring. Night Hoops has a standing history with a number of great basketball players from Kansas City that have benefited from this opportunity on and off the court. The Night Nets volleyball program focuses on girls. Teams are generally composed of 6 – 8 young adults. There is an educational component consisting of health, financial and gender specific topics. Ladies, brush up on your bumps, sets & spikes and gather up your team. Night Kicks is a seven-week evening soccer program for both youth and adults modeled after the World Cup Soccer tournament. Teams must register and include an 11 player roster with names and ages to validate entry into the soccer league. Club KC is the place to be for youth ages 11-18! We have live DJs, dancing, basketball, swim parties, video games, arts, robotics, digital literacy empowering speakers, guest celebrities, concessions and so much more! Safe, Fun and FROSTY (aka the Mayor’s way of saying ‘Cool’)! A BIG THANK YOU to our 2018 partners; Arts Tech KC, Atkins Group, Guadalupe Center, Kansas City Urban Public Library District, KC Hoops, Night Hoops, Kansas City Anti-Violence Project, The Nelson Gallery Foundation, and Mattie Rhodes.